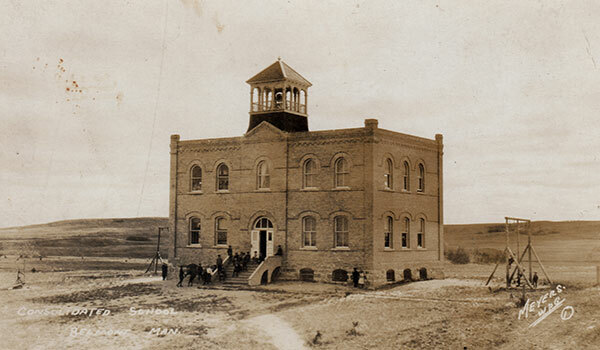 The Craigilea School District was formally established in February 1886 and it continued with this name until July 1917 when it became Belmont Consolidated School. 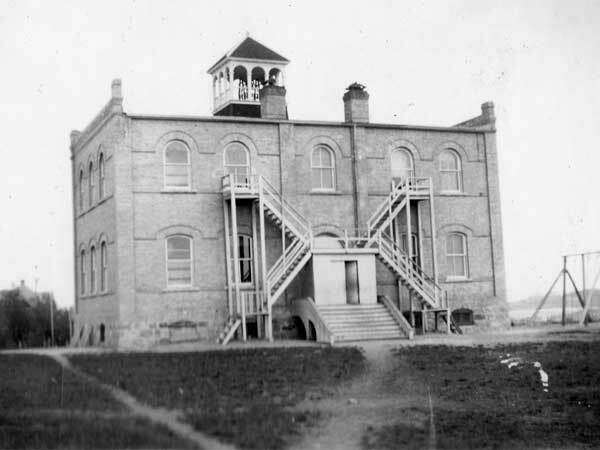 It occupied a six-classroom, brick building erected in 1904 on a design by Winnipeg architect H. S. Griffith, in Belmont in what is now the Rural Municipality of Prairie Lakes. 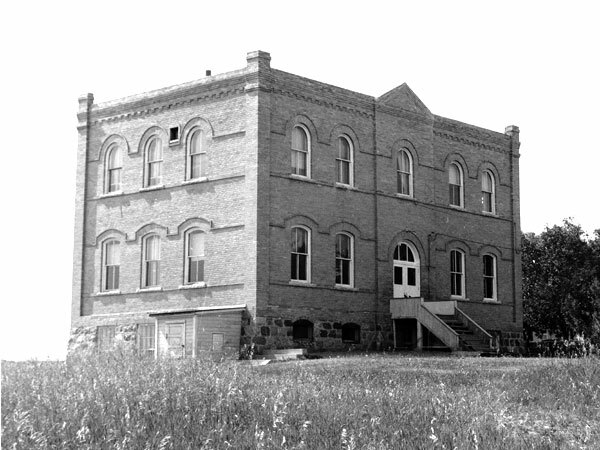 Over the years, several rural schools were consolidated with it: Alma School No. 668, Clifton Bank School No. 777, Delta School No. 669, Huntly School No. 477, Mount Hope School No. 1302, Pelican Lake School No. 337, and Woodbine School No. 1189. The building closed in 1968 when high school students were transferred to Glenboro, and the structure was demolished. 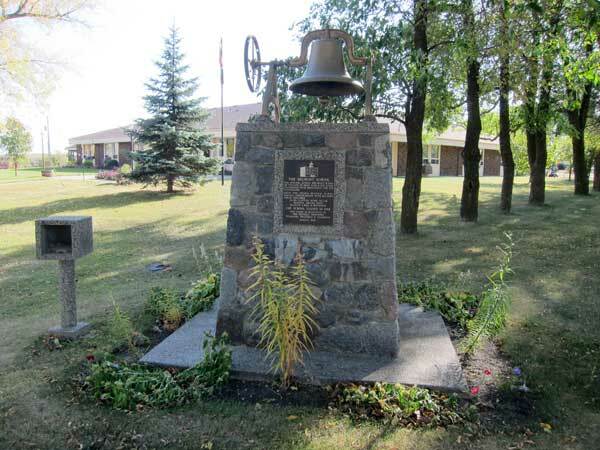 A seniors home was built on the site and, in August 1989, a commemorative monument was unveiled here, along with the bell from the former school. The present Belmont school building, constructed to alleviate overcrowding in the old structure, dates from 1960. Closed in June 2002, it was vacant at the time of a 2013 site visit. 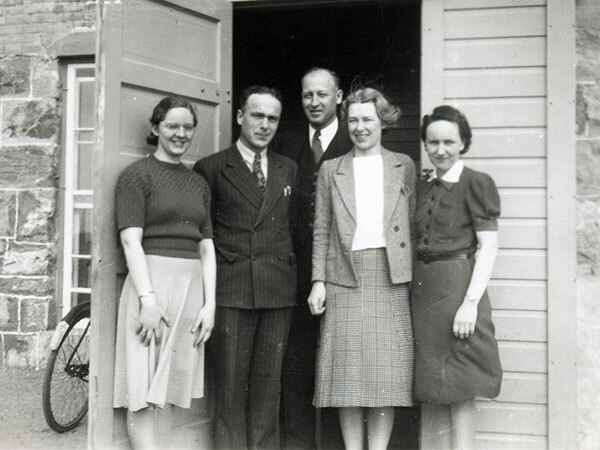 Miss J. Jackson, Mr. Sadler, Ada ?, Name? Among the other teachers of Belmont School were Albert E. Buttress (1891), Miss Mary Arnold (1916-1917), Miss E. Greenwood (1919), and Ermina Shier. GR8461, A0233, C131-1, page 56. Source: Archives of Manitoba, Architectural Survey, Belmont. 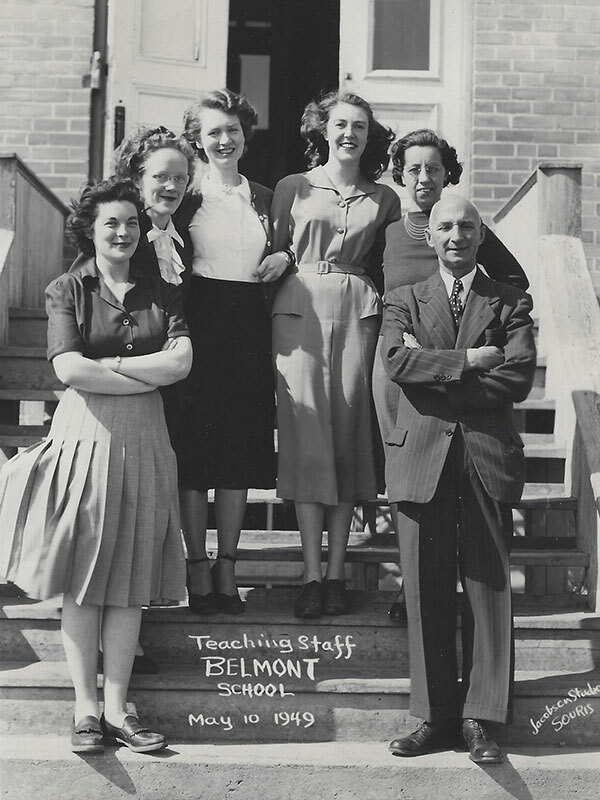 Teaching staff of Belmont School, 1941-1942: (left-right) Miss Jackson, Stanley McGill, Mr. Sadler, ?, Ada ?. “Belmont, Man”, Western Canada Fire Underwriters’ Association map, September 1916, Archives of Manitoba. “Some of the pioneers of Belmont district,” Belmont News, 18 September 1952, page 1. We thank Nathan Kramer, Colin Myers, Carol Hooper, and Jane McDonald for providing additional information used here.